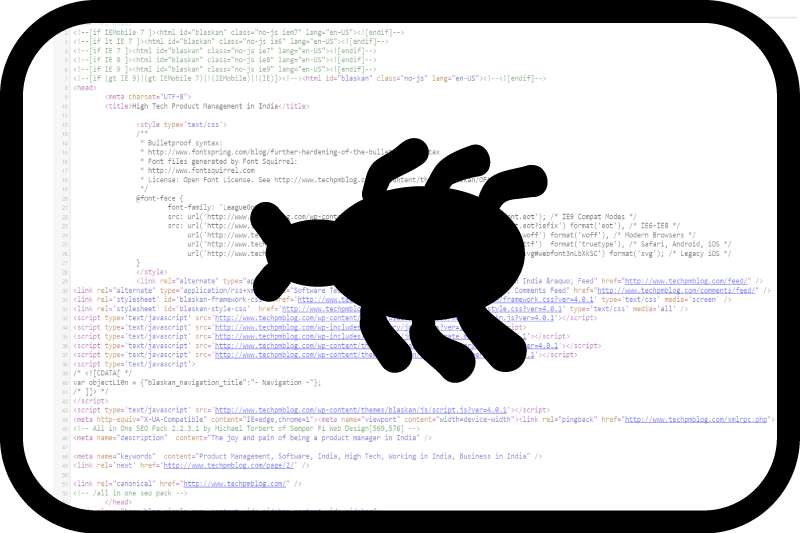 At each release or a push to production, we defer a set of bugs and add to our technical debt. Unless you keep aside time for fixing these issues, you will keep adding to your technical debt. This will become an issue sooner or later. But doing this is hard. It is easier said than done. So… what is the optimal number of deferred bugs or legacy issues that we should fix in a given 3-4 month release? Generally, for highly functioning and customer connected teams, this number is much less than what the product management team feels comfortable with at the time of shipping an update. This means that product management teams can be stricter about the total number of bugs to reopen for fixing after a release has shipped. I believe that we will get much better results if we let the feature team or “squad” decide which bugs to reopen and fix in their area. We have had the most success with option #3 since it gives a clear goal and time to the dev team to go after these bugs. This said, we still don’t get all of the bugs fixed since fixing long standing issues is not trivial, otherwise we would have fixed them already. Other options lead to teams fixing easier bugs rather than going after the hard, important ones. I recently had a to review an important call to action dialog. We had just finished an important feature and wanted to drive its usage. The call to action dialog came up automatically and urged the user to try this feature. The team had taken two stabs at rewriting it but it was still too long & repetitive. Additionally, it was written from the point of view of the team and not the customer. Since I have limited writing experience, I started searching for “Effective Software dialog messages” or “Better messages in software” but did not get good results in both cases. This made me think about the problem differently. I then searched for “Writing effective call to action messages” and found a rich volume of work that helped me re-write this message. I now feel that I should take a class in writing or rhetoric. There are many available on coursera. Let me know if you’ve had a good experience with any of them.